How to watch Training Day (2001) on Netflix Australia! Sorry, Training Day is not available on Australian Netflix, but you can unlock it right now in Australia and start watching! With a few simple steps you can change your Netflix region to a country like United Kingdom and start watching British Netflix, which includes Training Day. We'll keep checking Netflix Australia for Training Day, and this page will be updated with any changes. Training Day is not available in Australia BUT it can be unlocked and viewed! A rookie cop tries to prove himself to a narcotics agent during a ride along, but soon he suspects that the veteran detective may be a thug himself. An earnest LAPD cop gets a crash course in dirty detective work. What if he doesn't play ball? What if he does? There is a way to watch Training Day in Australia, even though it isn't currently available on Netflix locally. What you need is a system that lets you change your Netflix country. 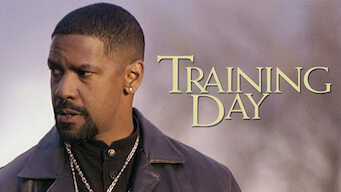 With a few simple steps you can be watching Training Day and thousands of other titles!